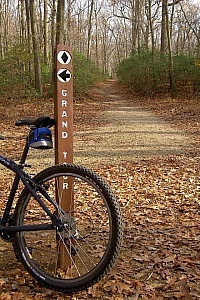 Mountain bike parked by a trail marker. 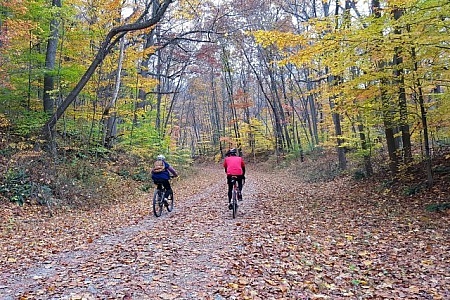 Cyclists riding on a bike trail in autumn. 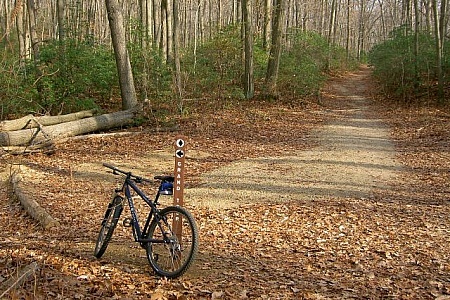 A hardtail mountain bike leaning against a trail marker.